Following Janet Yellen's Senate Banking Committee testimony, the Fed seems to be quite deliberate in preparing for a rate hike in 2015. It's hard to imagine taking such action in the disinflationary environment we find ourselves in, but market participants are increasingly accepting that possibility. That's why we've seen the equity markets pull back somewhat and the dollar continue climbing. 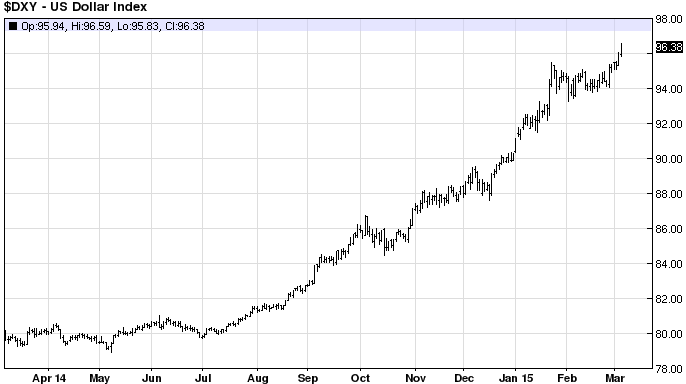 The problem of course is that the dollar's strength is already pressuring US manufacturing and there is more to come. 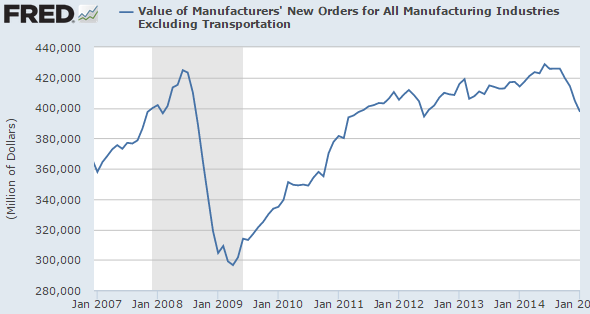 Manufacturing orders have fallen sharply, with the dollar contributing to some of the declines. However it seems the Fed is likely to be less focused on the dollar and instead concentrate on wages, where we are supposedly seeing a few pockets of wage pressures. Here is a quote from the NY District Beige Book report. NY Fed: - The labor market has continued to strengthen since the last report, with some reports of increased wage pressures. One major New York City employment agency maintains that the job market has tightened considerably in recent months and that it is stronger, across the board, than it has been in eight years. This contact also notes that wages have accelerated, especially for workers with any computer skills. More broadly, business contacts report that they continue to increase employment, on balance, and considerably more firms plan to add than cut jobs in the months ahead. Service-sector firms also indicate increasingly widespread wage hikes. This hardly qualifies as wage pressures at the national level, but it's something the FOMC will watch closely. 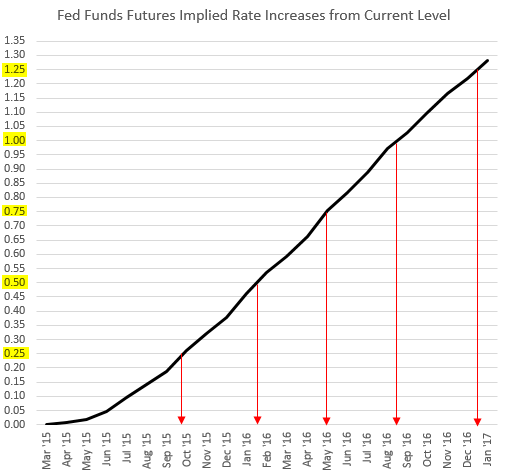 As of now the market expects the Fed to hike at fairly regular intervals starting in early Q3-15. There is quite a bit of debate around the timing of the first hike - especially given the psychological importance of that policy change. 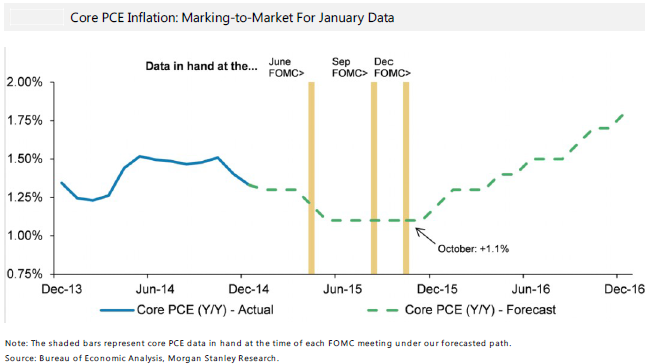 For example Morgan Stanley economists argue that the low core inflation will keep the Fed on hold until next year. 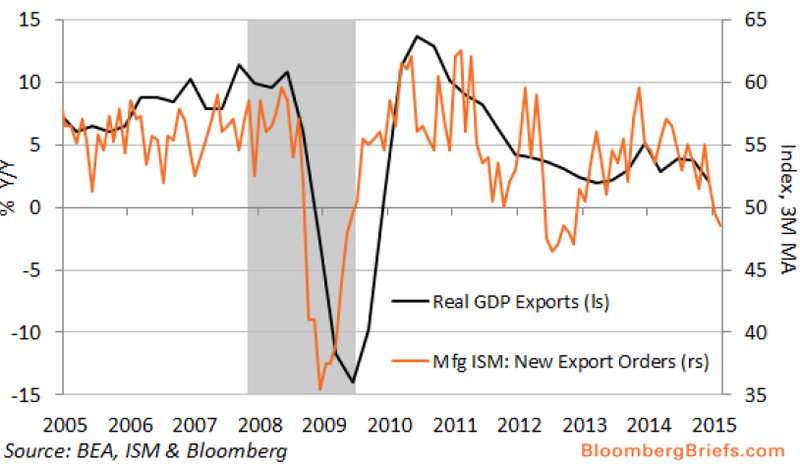 The core PCE measure lags the headline number and will take some time to recover. It's difficult to see the Fed hiking with core PCE below 1.25%. Nevertheless an increasing number of economists and Fed officials feel that a 2015 liftoff is on - if anything as a symbolic exit from the zero rate policy. MarketWatch: - Kansas City Fed President Esther George said she would support a decision to hike short-term interest rates in mid-year. "While the FOMC has made no decisions about the timing of this action, I continue to support liftoff towards the middle of the year due to improvement in the labor market, expectations of firmer inflation, and the balance of risks over the medium and longer run"